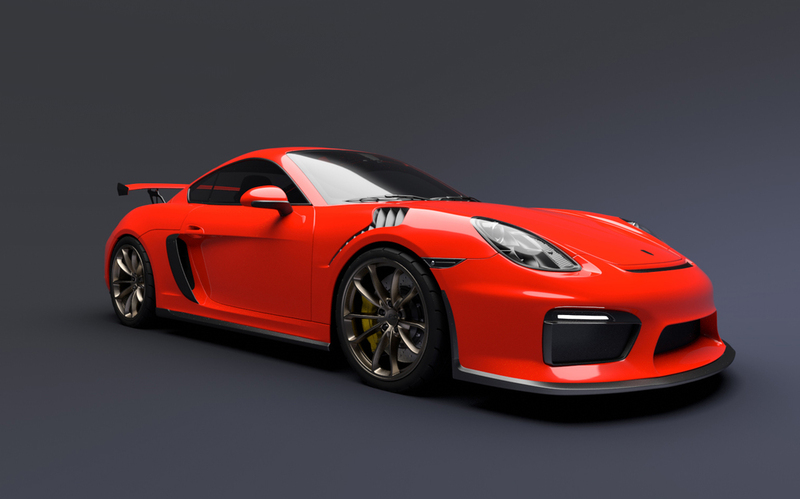 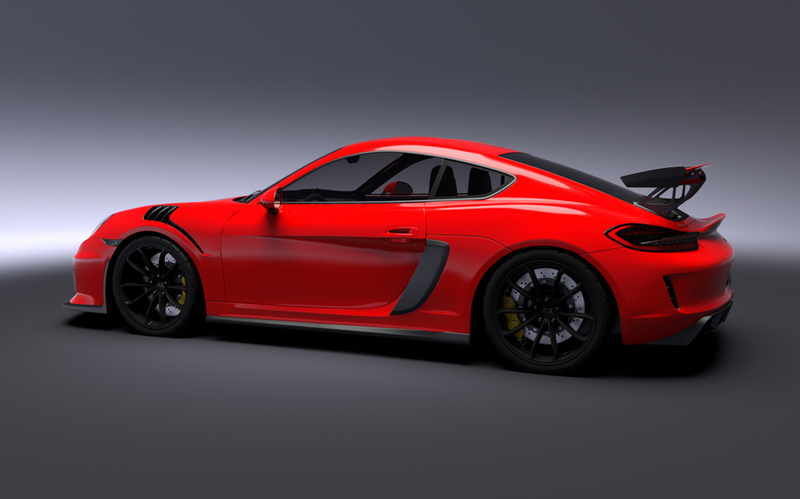 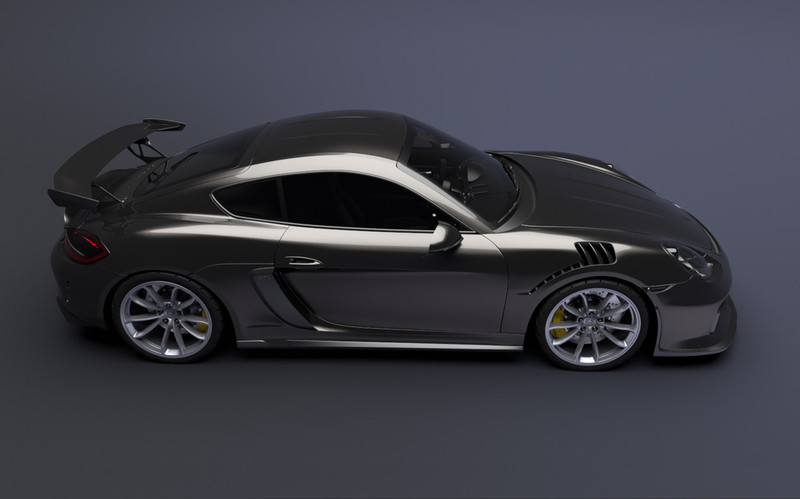 Conceptual preliminary renders for Porsche 981 GT4 and Spyder parts. 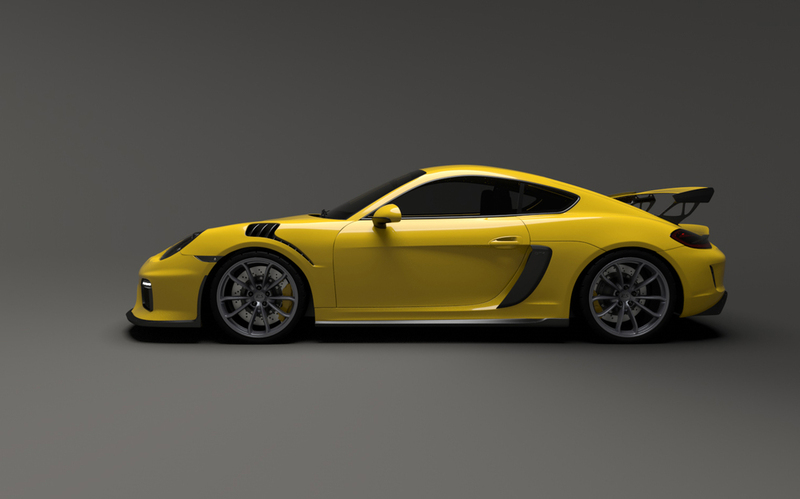 Parts currently in development, projected release Q3 2016. 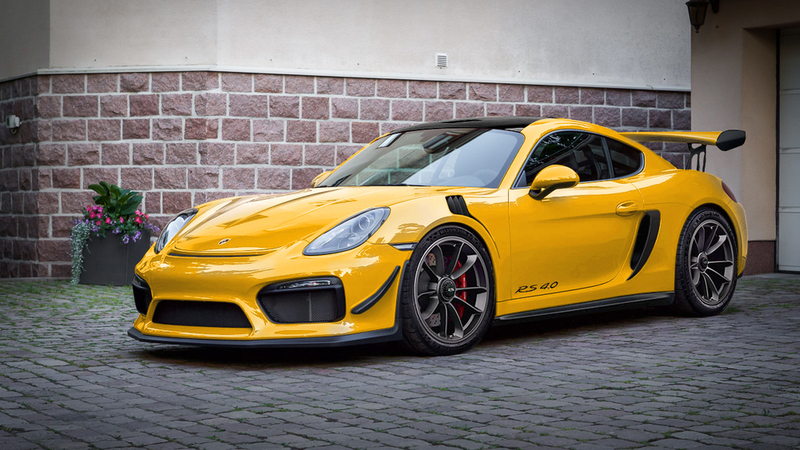 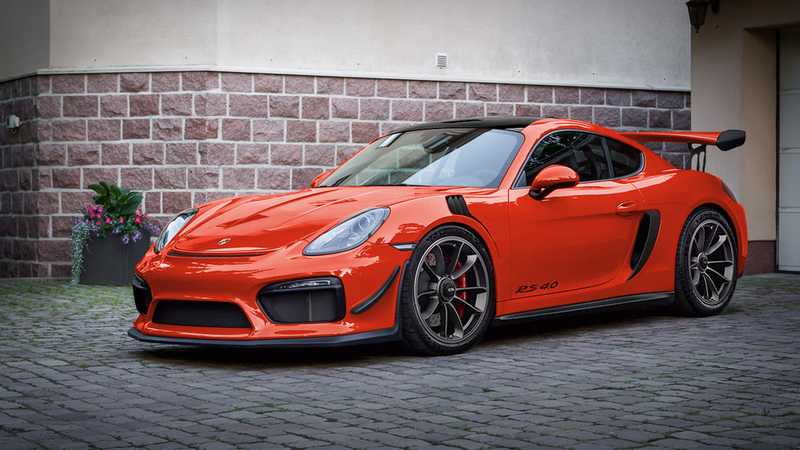 Modifications include GT3 RS style front fenders, GT3 RS style re-sculpted roof and hood, GT3 RS style engine cover, higher wing risers, and rear wheel well venting into the bumper. 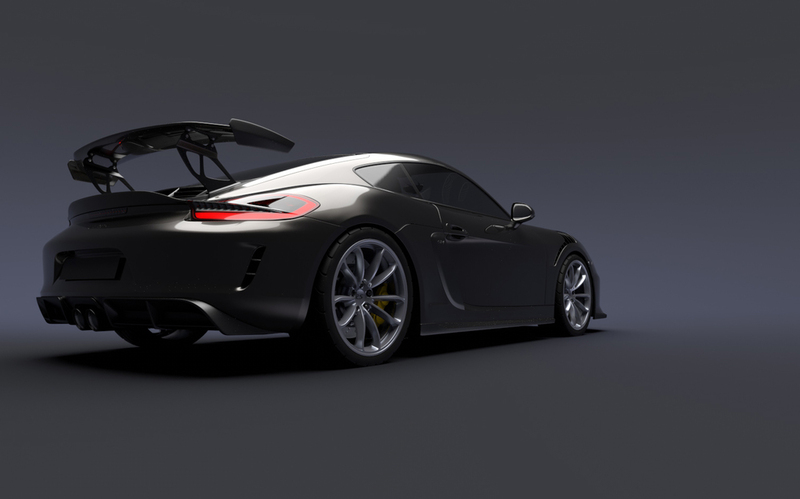 Front fenders, side skirts, canards, and additional gurney flap for ducktail shown on 981 Spyder.